This set came from Canada. The cabinet was in terrible shape when I got it. 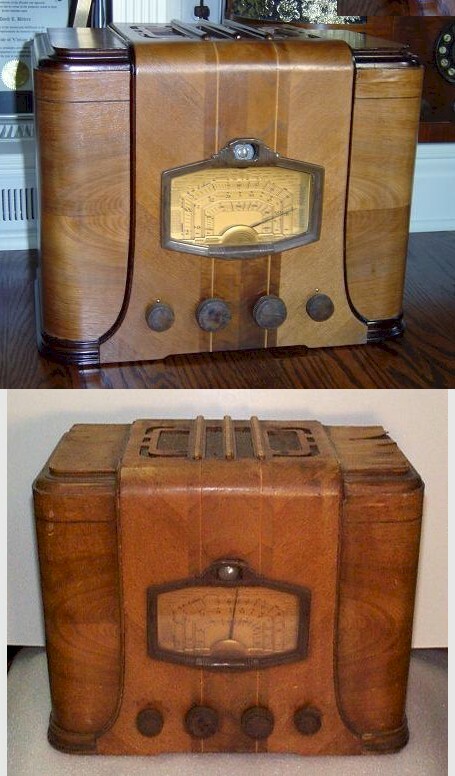 It was nicely refinished by Mel Wattles of Phoenix, AZ. After I did the re-capping and applied power I got a smoked 30 ohm resistor for my efforts. Willis Watkins helped me troubleshoot the problem - a faulty rectifier tube socket. Once the socket got replaced, the radio played like a champ.